What is Assault Energy Strength? Assault Energy Strength by MusclePharm is a pre-workout supplement with which you may improve strength and aerobic and anaerobic capacity. Increases mental capacity and promotes muscle development, optimal hydration and cellular volume. What are the properties of Assault Energy Strength? 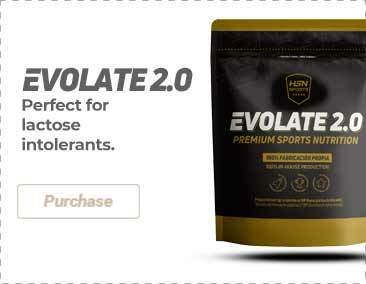 The Strenght & Performance formula includes 2 key ingredients to help to delay the appearance of fatigue: Creatine Monohydrate and Beta-Alanine CarnoSyn®. Creatine Monohydrate, is an ingredient that contributes to the synthesis of ATP and that increases strength and power and improves sports performance. It promotes cellular hydration and protein synthesis. The Beta-alanine elevates levels of muscle carnosine. Carnosine is a compound, which in addition to being a powerful antioxidant, has the ability to neutralize muscle acidity and delay the onset of fatigue. The Muscle Fuel blend consists of two amino acids (Taurine and L-Glycine). Taurine is considered a semi-essential amino acid that increases sports performance because it contributes to a correct transmission of the nerve impulse. This amino acid also protects the muscle, promotes protein synthesis and muscle development. Glycine, on the other hand, is a very important amino acid for the correct functioning of the central nervous system and muscles, at the same time it is an essential part of the creatine synthesis. The Energy & Focus blend is made up of anhydrous caffeine and acetyl l-carnitine. Caffeine is a nervous system stimulant that decreases the perception of tiredness and fatigue, raising our ability to do more intense and long-lasting workouts. Carnitine contributes to the use of fats as an energy source during exercise, which, on the one hand, helps reduce body fat percentage and on the other helps boost physical performance by helping to preserve muscle glycogen. The formula was also enriched with Vitamin C (powerful antioxidant that protects the body from the excess free radicals that are generated during training) and vitamin B6, B12 (very important for the correct energy metabolism and to combat fatigue). Who can benefit from taking Assault Energy Strength? Sportspeople that seek to increase their energy levels during workouts, increasing mental focus, strength and muscle mass. Creatine monohydrate, Beta-Alanine (CarnoSyn®), Anhydrous betaine, Taurine, L-Glycine, Ascorbic acid (Vitamin C), Anhydrous caffeine, Acetyl-L-Carnitine, DL-alpha tocopheryl acetate (Vitamin E), Pyridoxine hydrochloride (Vitamin B6), Methylcobalamin (Vitamin B12), Acidity regulator (Citric acid), Flavorings, Anti-caking agents (calcium silicate, silicon dioxide), Acidity regulator (Malic acid), Sweetener (Sucralose), Color (Fruit and vegetable juice), Sweetener (Acesulfame k). Produced in a facility that processes products containing milk, eggs, wheat, soy, peanuts, walnuts, fish and crustaceans. Once opened, store in a cool (under 25ºC), dry and dark place. Do not exceed the stated recommended daily dose. Keep out of reach of the smallest children. Nutritional supplements should not be used to replace a balanced diet. For adults only. Consult your doctor if you are taking some medication or if you suffer from high blood pressure, arrhythmia, heart attack, heart, kidney, liver or thyroid problems, mental disorders, diabetes, prostate problems, erectile dysfunction, or if you take medicines that contain monoamine oxidase inhibitors. It contains caffeine [250mg/1 scoop (11.5g)].